If you would like to receive emails about upcoming application deadlines and events, and exciting news about the Hungry for Education scholarship program, sign up here. The US Pan Asian American Chamber of Commerce (USPAACC) is the oldest and largest national, non-profit, non-partisan organization representing all Asian American and Asian American-related groups in business, sciences, the arts, sports, education, public and community services. The mission of USPAACC is to be the gateway to corporate and government contracts, Asian-American suppliers, and information about Asian Americans and the Asia and Indian Subcontinent markets. 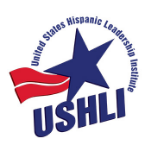 The mission of the United States Hispanic Leadership Institute (USHLI) is to fulfill the promises and principles of democracy by promoting education and leadership development, empowering Latinos and similarly disenfranchised groups through civic engagement and research, and by maximizing participation in the electoral process. At the ACE Academy, founded Mr. James Shaw, who is dedicated to helping the youth of the city reach their goals, middle and high school students have the opportunity to learn more about aviation and aviation-related job opportunities at Aviation Career Education (ACE) academies held across North Carolina each summer. Students learn about the theory of flight, aviation’s history, aircraft maintenance and new technologies, study real world aviation applications, aviation principles such as thrust and vectoring, and aircraft construction. Mr. Jim Shaw, while serving on the Board of the NCDOT Division of Aviation, learned that ACE Academies had been established in four other NC cities and requested that an ACE Academy also be established in Winston-Salem and offered his services to organize and operate an ACE Academy there. Since then the ACE Academy has had six great years of service to our community. The Tom Joyner Foundation was founded in 1998 as the brainchild of nationally syndicated radio personality Tom Joyner. The mission of the Foundation is to support historically black colleges and universities (HBCUs) with scholarships, endowments, and capacity-building enhancements. Through fundraising and donor-development initiatives, $65 million has been raised to support more than 29,000 students attending HBCUs. Additionally, the Foundation has recommended internships, offered matching grant support, and provided career development to deserving students. 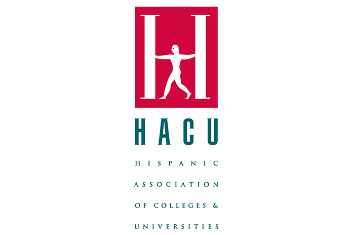 The Hispanic Association of Colleges and Universities (HACU) is the only national educational association representing Hispanic-Serving Institutions (HSIs). HACU represents more than 470 colleges and universities committed to Hispanic higher education success in the U.S., Puerto Rico, Latin America, and Spain. Thousands of young Hispanics have benefited from a variety of HACU scholarship opportunities and federal and corporate internships offered through the HACU National Internship Program. The Magic Johnson Foundation, founded by Earvin “Magic” Johnson in 1991, works to develop programs and support community-based organizations that address the educational, health and social needs of ethnically diverse, urban communities. By providing resources, building participation, and inspiring self-sufficiency, MJF is dedicated to its vision of empowering underserved communities. The Urban League of the Upstate is a non-profit organization committed to the principle of equal opportunity for all citizens in housing, education, employment, and economic development, without regard to race or socioeconomic status. The organization’s mission is to promote education, equip economically, and transform generations. The National Urban League is a historic civil rights organization dedicated to economic empowerment in order to elevate the standard of living in historically underserved urban communities. It is the oldest and largest community-based organization of its kind in the nation. Step Up For Students empowers parents to pursue and engage in the most appropriate learning options for their children, with an emphasis on families who lack the financial resources to access these options. Step Up For Students is a state-approved nonprofit scholarship funding organization that helps administer two scholarships for Florida schoolchildren: the Florida Tax Credit Scholarship Program (FTC) for low-income families and the Gardiner Scholarship (PLSA) for children with certain special needs. Since 2002, the AAA Scholarship Foundation has provided economic and other assistance to economically disadvantaged families to enable them to select the best schools for their children. The foundation started in Florida but has expanded to administer scholarships for economically challenged students in Alabama, Arizona, Georgia, Nevada, and Pennsylvania. The Nu Tau Lambda Community Service Corporation (NTLCSC) is the non-profit charitable arm of the Alpha Phi Alpha fraternity, which focuses on scholarship, programs and training and development of the membership. The mission of the Foundation is to promote scholarship and academic achievement and provide resources, services and advocacy to the global community. Alpha Kappa Alpha Sorority, Incorporated is a globally-impactful organization of nearly 300,000 college-trained members, bound by the bonds of sisterhood and empowered by a commitment to servant-leadership. Alpha Kappa Alpha focuses on two key arenas: the lifelong personal and professional development of each of its members; and galvanizing its membership into an organization of respected power and influence, consistently at the forefront of effective advocacy and social change that results in equality and equity for all citizens of the world. 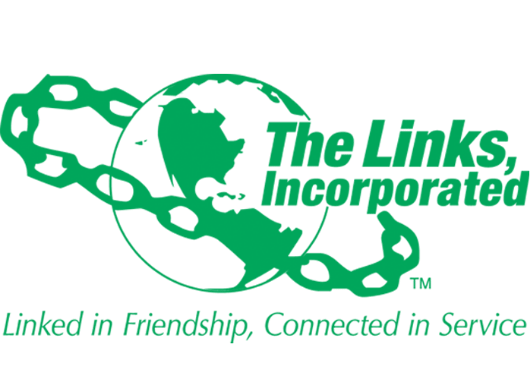 The Links, Incorporated is an international, not-for-profit corporation, established in 1946. The membership consists of nearly 15,000 professional women of color in 285 chapters. It is one of the nation’s oldest and largest volunteer service organizations of extraordinary women who are committed to enriching, sustaining and ensuring the culture and economic survival of African Americans and other persons of African ancestry. The Core Values of The Links are Friendship, Integrity, Honesty, Service, Commitment, Family Relationships, Courage, Respect for Self and Others, Legacy, Confidentiality, Responsibility, and Accountability. The five facets of programming for The Links are Youth, The Arts, Health and Human Services, National Trends and Services, and International Trends and Services.